At Clif Bar & Company, we gauge our success not on one, but five bottom lines. We have come to call them our Five Aspirations - Sustaining Our Business, Our Brands, Our People, Our Community, and the Planet. Our approach to benefits is no different, and we design our programs to embody each aspiration. Our company IS our people. We work to create an environment where our employees can grow and succeed as they live the lives they want to live. We challenge and celebrate one another; we help to balance each other’s lives; we value laughter and fun as integral qualities in our workplace. As such, we’re always looking for new ways to invest in our people; asking each day, “What other benefits could we be offering? What haven’t we thought of yet?” Because of this, our benefits philosophy combines traditional offerings with holistic and innovative programs, in order to (hopefully) support everyone. Employees can choose from several comprehensive medical plans along with dental and vision to serve their medical needs. We also offer life insurance, disability coverage and an Employee Assistance Program that’s a free, confidential resource for help in dealing with issues that affect life and work. 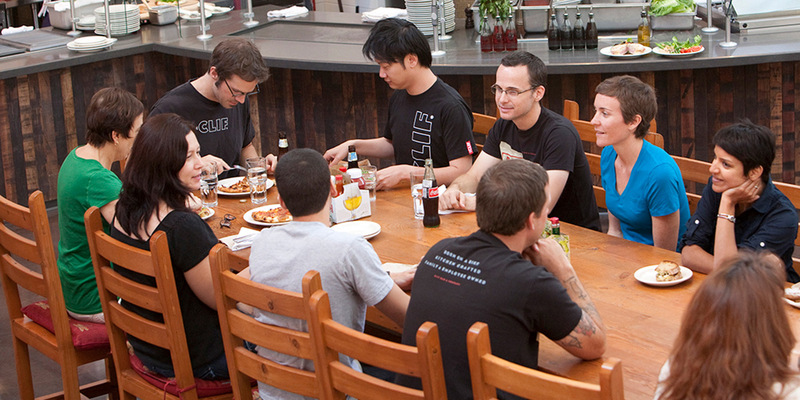 We believe that time off enhances the productivity and creativity of our employees. Our paid time off program starts at 15 days per year and increases based on your length of employment. After seven years of service, employees are rewarded with a sabbatical as an opportunity for personal growth and renewal. Flexible work week? Sure. Within a two week period instead of 10 8-hour days, employees can work 80 hours in 9 days and get every other Friday off. Or, if they prefer, telecommuting is available with the flexibility to work from home one day per week. Sustaining our community is one of Clif Bar’s Five Aspirations and through “CLIF CORPS,” we currently commit to work over 10,400 hours in direct service to our communities. Service can be done during regular work hours (evenings and weekends, too) for the non-profit organizations of your choice. Additionally, Clif Bar will match donations for non-profit organizations near and dear to your heart. You can also donate up to 1,000 bars per year to the non-profit(s) of your choice. 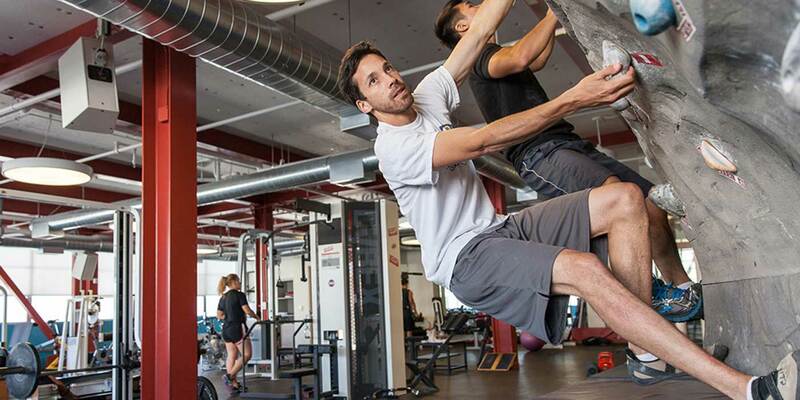 At headquarters, we have an onsite, full service gym complete with a bouldering wall and group fitness classes such as yoga, spin, dance and boot camp. Personal trainers are ready to help you get in shape for the first time, train for a triathlon, or just inspire you to mix-up your current routine. Massage therapists, an acupuncturist and a chiropractor focus on keeping everything in top physical order, while several nutritional counselors and life coaches help maintain a good nutritional and mental foundation. At Clif Bar, our company is our people and we strive to offer an environment where our people can grow and succeed along with our company. White Road Academy, our in-house learning program, offers classes and experiences throughout the year to help people gain new knowledge and skills. 401(k) contributions can be made on a pre-tax or after-tax basis (through the Roth option) and we provide a 100% match up to 5% of annual earnings, which is immediately vested. We also offer an annual incentive plan based on individual and company performance. Our most unique offering is our Employee Stock Ownership Plan (ESOP.) The ESOP is a generous retirement benefit, created by our owners, that is directly impacted by our work together and linked to the success of our company. We not only strive to reduce our business’ environmental impact, we want to help you reduce your footprint too! The Cool Commute and Cool Home programs offer incentives for leaving your car at home or switching to a fuel-efficient/low emission vehicle, and for making earth-friendly improvements at home. From family support incentives like first time home buying loans and adoption assistance to onsite extras like our in-house café, Kali’s Kitchen and our childcare center, Base Camp, we offer a wide variety of extras to make our people happy and productive. Plus, did we mention every day is bring your dog to work day? Ruff life. Wanna join us on our journey? Check our Careers page for current openings.